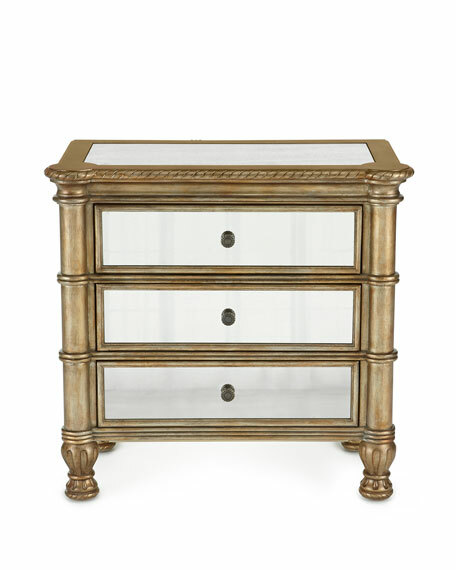 Nightstand handcrafted of hardwood solids and antiqued, mirrored glass. Hand-painted silver finish with gold undertones and physical distressing. Three drawers with felt-lined top drawer and three-plug electrical outlet. 32"W x 17"D x 30.25"T.
Boxed weight, approximately 138 lbs.